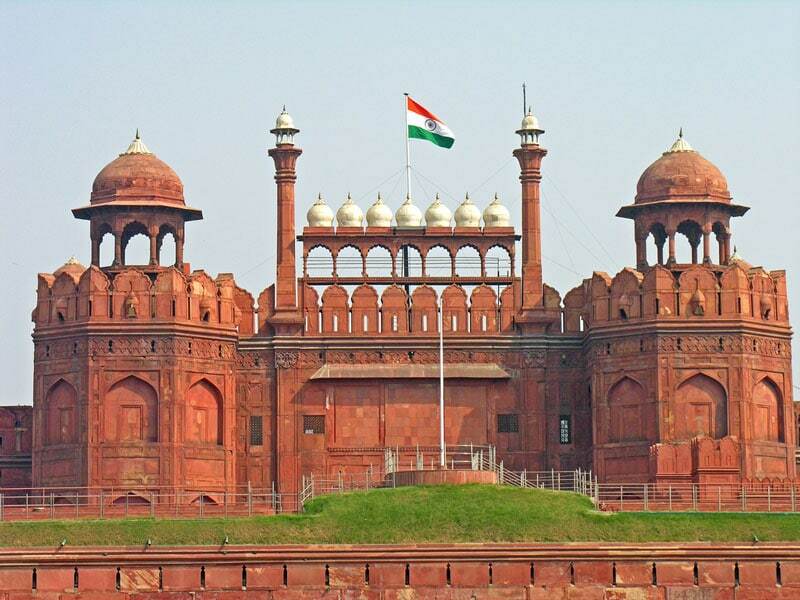 The Red Fort present in Delhi is one of the most famous buildings both politically and historically within the nation. Widely known for the outer walls which stretch to a distance of almost 2 kilometers, the fort is named as such as it was built from red sandstone which gives the building a red tint. Constructed way back in the 17 centuries by the emperor Shah Jahan, this structure was the center of his Mughal administration as he moved his capital from Agra to Delhi. With an architectural style which is a combination of Mughal and Persian, the structure has got a number of museums, the majestic palace and a beautiful garden in addition to many other amenities. It has got quite a lot of gates with the Lahore gate being the most prominent one as it is the place ahead of which the national flag is raised during each Independence Day celebrations by the Prime Minister before his speech. Wear comfortable footwear while looking around the place as there is a lot of walking involved. Carry hats and water bottles to combat the heat. The light and sound show is a treat which is available only in the evening. Marvel at the wonderful architecture and the intricate design of the structure and the pavilions. Rest at the beautiful and well-manicured garden which brings about a serenity to the site. Explore the various settings within like the bath area, sleeping room and the various halls where the royalty used to entertain private visitors. Many mahals like the Mumtaz Mahal, Khas Mahal and the Rang Mahal are interesting places to look into. Enjoy the show in the evenings which are specially orchestrated for visitors. Shop at the local markets or buy trinkets from the hawkers who are found nearby. There are a wide range of culinary options in the area which range from regional to fast food. There are plenty of guides who are available for a certain fee. They will explain the history of the location and the various sites within it in both English and Hindi. The summers are scorching hot in Delhi and are best avoided while visiting the city. The monsoon season can see a really elevated level of humidity with a good downpour during the months of August and September. The perfect time to drop in would be the months from October to March i.e. during the autumn and winter seasons. This is the most pleasant time to visit as the comfortable climate makes the trip a much more pleasant affair. Sometimes the winter months can be too foggy. This spot is a vibrant tourist location which is situated right in the middle of the city. Delhi being the capital is easily reachable by air as it has got the International Airport from where cabs can be taken to the location. The Metro is connected to the old railway station, new railway station and the airport. After reaching the Chandni Chowk station, the fort is just a ten-minute walk away. A good bus network is available within the city and can be used to reach the spot. Added to all this, auto rickshaws are also available in plenty to reach this location. 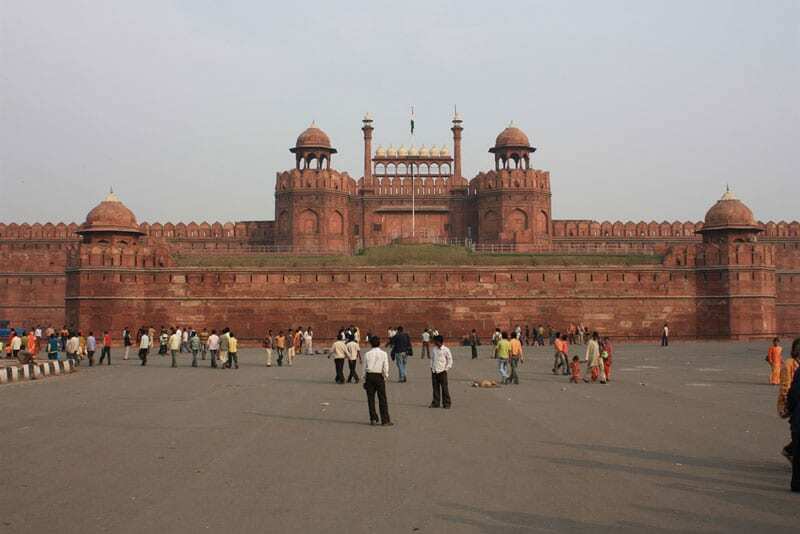 Locally it has been named the Lal Quila which translates to the Red Fort. It has been given the title of World Heritage Site, by the UNESCO authorities. Locally it was known as the Qila-E-Mubarak in the earlier days, which meant the blessed fort. The British when ruling the country, took away the things from the palace after the Sepoy Mutiny. The famed Kohinoor diamond was one of the precious items taken away from the fort. The Lahore gate is the opening used mainly, with it being named after the fact that it faces Lahore. This magnificent piece of architecture with its amazing structure, alluring art work, mesmerizing interiors and extravagant history is a place which has to be visited by everyone at least once in their lifetime. All this makes it the heart and soul of Delhi indeed.